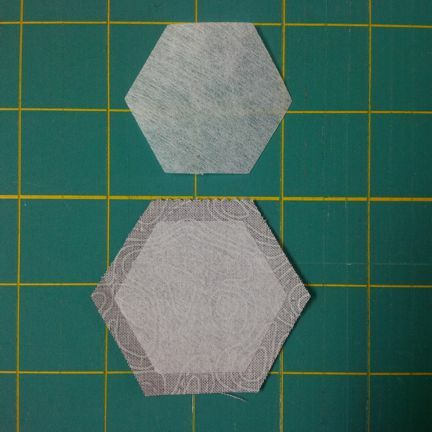 100 hexagons with three-quarter-inch sides precut from fusible interfacing. 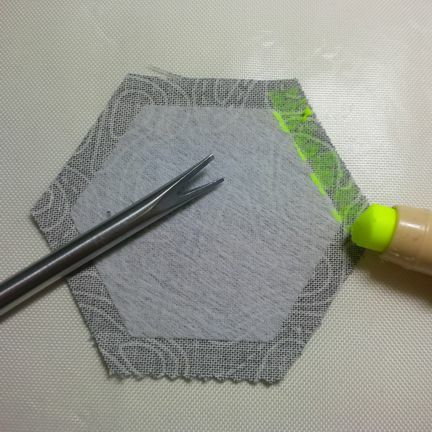 Perfect for English Paper Piecing – no need to remove! 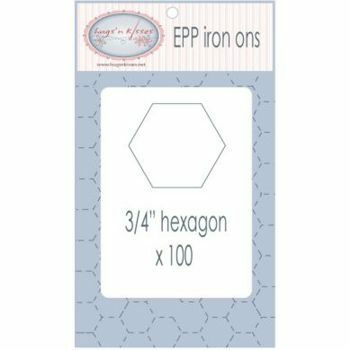 100 hexagons with three-quarter-inch sides precut from Hugs’n Kisses Applique Paper. This paper is 50% soluble, 50% non-soluble natural fiber with a light glue coating. 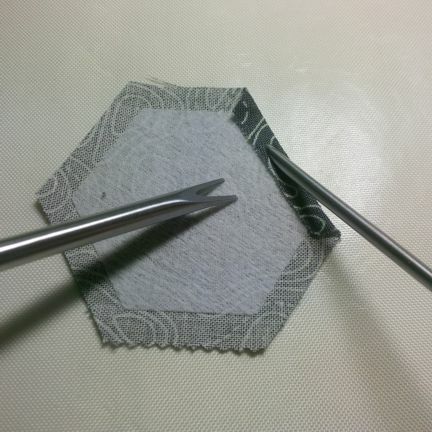 The hexies are fused to your chosen fabrics, seam allowances are glued or tacked over the edge and then sewn together as normal (by hand or machine).